My dolly's go the flu. Have a family (and friends) game night! Play board games and other unplugged favorites! 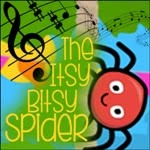 Sing along with The Itsy Bitsy Spider. How to host the perfect playdate for children!